HOW SHOULD WE PRACTICE BAPTISM IN THE CHURCH? In this multi-view book we have three views presented: (1) Believer’s Baptism (credobaptism – “credo” being from the Latin for “I believe”) – presented by Dr. Bruce Ware, professor of Christian Theology at The Southern Baptist Seminary in Louisville, Kentucky; (2) Infant Baptism (paedobaptism – “paidos” from the Greek for “child”) – presented by Dr. Sinclair Ferguson, the Senior Minister at First Presbyterian Church in Columbia, South Carolina and professor of systematic theology at Redeemer Seminary in Dallas, Texas; and (3) The Dual-Practice Baptism View – presented by Dr. Anthony N. S. Lane, professor of historical theology at London School of Theology in Northwood, England. The book was edited by David F. Wright (1937-2008), professor of patristic and Reformation Christianity at New College, University of Edinburgh, Scotland – and after his death in 2008 by Daniel G. Reid, the senior editor for reference and academic books at IVP Academic. The structure of the book is that each scholar gives his argument for his own position using biblical, theological, and historical support. After each presentation – the other two author’s counter, and the presenter responds to the two counter arguments. Such is the case for each presentation. (1) Bruce Ware argues for credobaptism – “only those who have already become believers in Christ should be baptized and that this baptism should be by immersion in water.” In his biblical defense of believers’ baptism he gives an abundance of linguistic and contextual support for baptism by immersion from the New Testament (NT – from this point on). He then shows that every clear instance of baptism in the NT relates to the baptism of those who have repented of sin and come to faith in Christ. In this section he highlights and discusses eleven passages from the book of Acts where Luke presents a clear and unambiguous depiction of baptism as being performed only on believers. Next he shows the absence of non believers’ baptism in the NT. He then presents a case against infant baptism from its absence in the NT. One of the most interesting quotes from the historical arguments in his essay comes from a passage in Justin’s Apology quoted in Stander and Louw on what was required by a person before he was accepted for baptism in the early church (100-165 A.D.), “firstly, the person had to believe in the truth of the Christian doctrine; secondly, he had to undertake to live accordingly; thirdly, the baptismal candidate had to undergo a period of devotion and fasting in which he had to request God to forgive all his past sins…Since only mature persons could satisfy these preconditions, it undoubtedly excludes the possibility that infants were involved in these activities.” Examples like this one show that infant baptism did not develop in any significant way until the fourth century. (2) Sinclair Ferguson argues for paedobaptism – “baptism is the sign and seal of the new covenant work of Christ and is analogous to circumcision, which was the sign of the old covenant of Israel. The biblical continuity between the covenants demands that infants of believers be baptized in addition to those who come to Christ at any age. The mode of baptism is not at issue.” Dr. Ferguson’s essay traces the evidence for infant baptism starting with the historical evidence from the post-apostolic period onward; then provides a biblical and theological perspective (redemptive-historical). Lastly, he draws some conclusions about the baptism of the infants of believers. In the first part of his essay Ferguson draws upon a snapshot of instances where infant baptism is practiced by the early church: (a) records of mortality – some dating back to the turn of the third century; (b) works of theology – Origen, Tertullian, Cyprian of Carthage refer to infant baptism in their writings; (c) evidence from liturgy compiled by Hippolytus of Rome (d. ca. A.D. 236). It’s interesting that none of these practices give a theological reason for the practice of infant baptism. 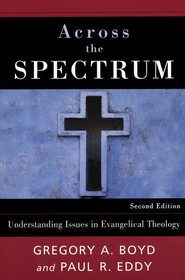 In Ferguson’s biblical-theological defense of infant baptism he grapples with the following issues: (a) how circumcision is fulfilled in Christ for the nations; (b) how union with Christ is expressed in baptism; (c) the baptism of Christ and what it means for us; (d) how baptism expresses the fellowship of God within the Trinity; (e) how baptism functions as a sign and seal; (f) divergent views of infant baptism – contrasting the catholic view and subjectivist view (Protestant); (g) How baptism signifies and seals the covenant of grace; (h) the covenant principle and practice of infant baptism; (i) the harmony of paedobaptism with the New Testament mindset; (j) the implications of baptism. Lane’s essay hones in secondly on the historical development of what he calls “conversion” baptism (he gives the greatest amount of ink to this section). He takes what he calls a “seismological approach” from the 5th century and back tracks to the New Testament. He believes that there is enough evidence to advocate for both paedobaptism and believers baptism in the early history of the church. Each essay tackles the issue of baptism quite differently. I would say that Dr. Ware (credobaptism) does the best job with the biblical evidence and with an exegesis of baptism. Dr. Ferguson gives a very articulate presentation of the theological reasoning behind paedobaptism. Dr. Lane (dual-view) does the best job of presenting an early history of baptism. In my opinion the one who does the most balanced job in handling the biblical, historical, and theological evidence for his position is Dr. Ware. No matter where you stand on the issue of baptism you will definitely learn a lot from this book. The author’s have done their homework and have written with theological acumen and a cogent articulation of the pro’s and con’s of each view. The one thing I would have liked to have seen at the end of this book is a concluding essay from the editor, or perhaps theologians’ from the three different strands articulated in the book. Another helpful asset would have been a question and answer section from the editor to each author. 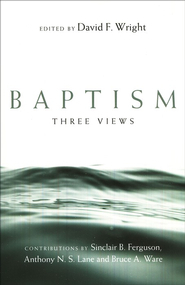 However, for greater insight into the issues of baptism from three great communicators – one would be hard pressed to find a more balanced presentation on baptism than contained in this “Three Views” book. I recommend this book for pastors, students, and Christians on all sides of the equation. It will help clarify one’s position, perhaps change your position, or stir within you a desire to search the Scriptures, Theology, and Church History for further study. The author’s are firm on their presentations and yet charitable and balanced – which is a good model for those wrestling with this important biblical subject.